This effort provided support to the ongoing standards development process for RWIS communications and protocols. Aurora members played a supporting role, providing strategic input and technical expertise in many RWIS areas. As a part of these activities, Aurora prepared an RWIS protocol white paper submitted to the National Transportation Communications for ITS Protocol (NTCIP) Working Group. Aurora worked with numerous other groups; including the FHWA, the American Association of State Highway and Transportation Officials (AASHTO), and NTCIP; as a part of this initiative.This effort provided support to the ongoing standards development process for RWIS communications and protocols. Aurora members played a supporting role, providing strategic input and technical expertise in many RWIS areas. As a part of these activities, Aurora prepared an RWIS protocol white paper submitted to the National Transportation Communications for ITS Protocol (NTCIP) Working Group. 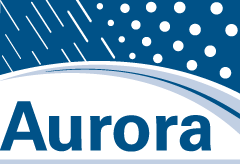 Aurora worked with numerous other groups; including the FHWA, the American Association of State Highway and Transportation Officials (AASHTO), and NTCIP; as a part of this initiative.